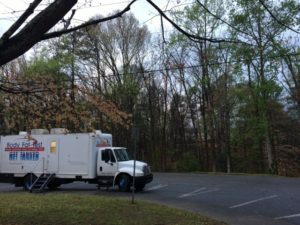 Thank you all for going ahead and getting registered for our March/April session Brookhaven Boot Camp at Briarwood Park. 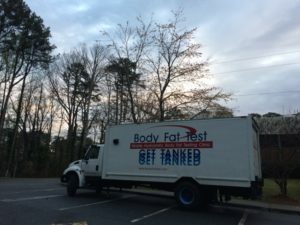 As an incentive we wanted to include a free body fat testing on the morning of the 28th. With a starting point for your fitness boot camp journey, you can revisit the same test in later months and strive to beat your results from the last test. For me personally, it has kept me more disciplined and conscientious of my eating habits and general activity level. For instance, I have cut out sodas and now drink naturally flavored sparkling water. For instance, with my exercise, I have turned up my intensity level and been more committed to my boot camp efforts. The benefits of moving into a particular direction, knowing that boot camp day one is also the hydro-static body fat testing day, keeps me in better check with my intake and output. After the test we will receive a 4-page printout that shows you where you are, where you should be and what it will take to get there. You will have a realistic baseline to establish your fitness goals. I will compare to the existing four other tests I have taken previously, dating years back. I hope I score generally low with my body fat percentage. 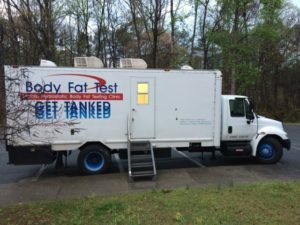 Southeastern Body Fat Tests brings the truck to Briarwood Park in Brookhaven, Georgia and the boot campers will get tanked in front of the Briarwood Rec Center. Specific, measurable, attainable, record-able and time based goals are excellent. 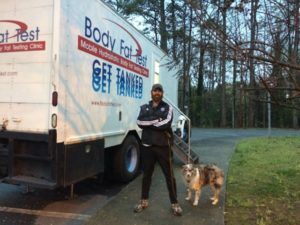 Now, personally, I don’t stick to an exact plan rigidly, but it’s a mindset that drives me to tighten up my exercise habits and allows me to attempt to rope in what I need with a most functional fitness level. For instance I have wanted to weigh 210 pounds at 12% body fat. I bet, right about now, I’m around there with my weight but at somewhere in between 15% and 18%. The body fat test on Tuesday will help me with the vital step of measuring so I can establish a baseline for a realistic and attainable goal and set short term goals such as -1% body fat in 60 days. After this I would establish a new goal and move from there. 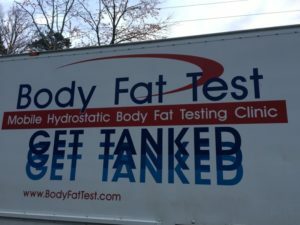 Register for our April boot camp program and receive a free hydro static body fat test on the first day. 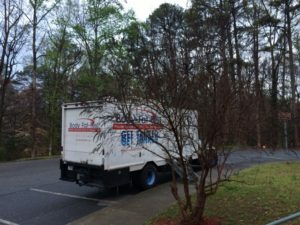 Brookhaven Boot Camps is taking basic training gaiaonline outside at Briarwood Park and making fitness affordable, effective and FUN with innovative and convenient ways to get in shape and see REAL results! Testing will also be available to the public for $20. No Boot Camper gets left behind!